The course begins with a detailed demonstration of impression taking, model-making, wax pouring and sculpture, followed by how to fit the pattern to the socket and how to undertake wax carving and iris positioning. You'll then complete these stages yourself on a head model, under supervision. 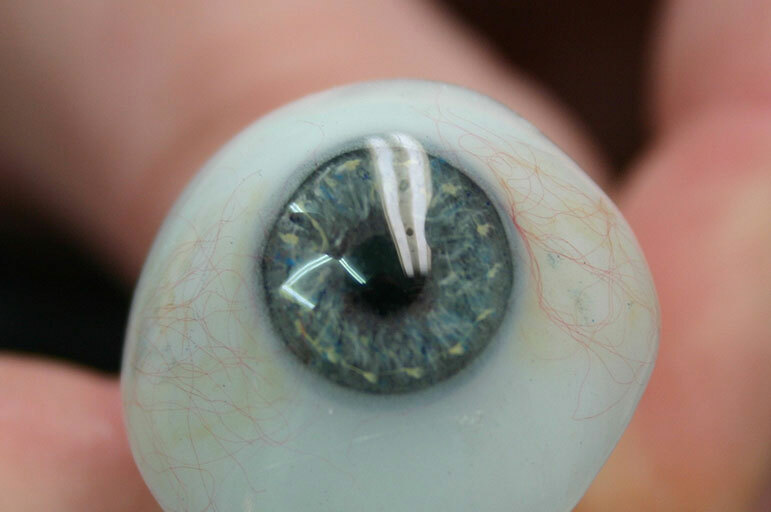 You'll take impressions and use wax to sculpt the prosthesis, and then continue by hand-painting the iris and applying sclera tinting and vessels. You'll develop a basic knowledge of fitting the prosthesis, and how to recreate and practice this experience in your own place of work. The next stage begins with an examination of a damaged eye and determining its suitability for a prosthesis, and an understanding of local topical anaesthetics. You'll undertake impression-taking, model-making and vacuum-forming, and then trimming and polishing the PMMA shell. This course is aimed at those who are in the early stages of their career in ocular prosthetics as well as experienced practitioners who are looking to learn up-to-date methodology. The course is also very useful for dental/maxillo-facial technicians, optometric practitioners, ophthalmic nurses and ophthalmic doctors. This is the only course in the UK that both demonstrates these unique skills and encourages practical involvement. A CPD certificate will be available from this course. Tutor profile: John Pacey-Lowrie has over thirty years’ experience in the field of ocularistry, having trained at the world-famous Moorfields Eye hospital in London. He has a very close research and development association with Nottingham Trent University, and is currently working on the recently patent registered ‘Reflex System’ (a light reactive pupil prosthesis). John runs a very busy practise both in Nottingham, England and the Jersey General hospital, Channel Islands, seeing and treating patients from all over the world. This practical course operates in two stages. You'll begin by focusing on the design and fit of a prosthetic to an empty socket. You'll then move on to cosmetic/scleral shell design and manufacture, and learn the techniques involved in producing a hand-painted and flush-fitted shell over a blind eye. Alternatively, an invoice can be raised upon request. The fee for this course is £3,292 + VAT.